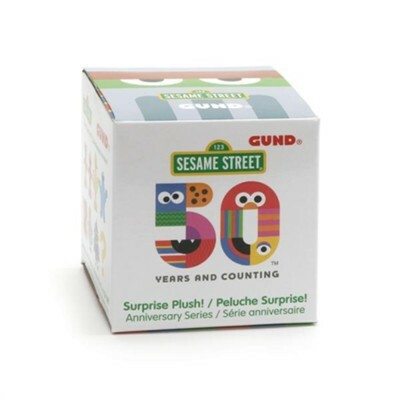 It's a surprise with the Sesame Street® 50th Anniversary Blind Boxes from GUND. Each box contains one 3" mini Sesame Street® plush concealed in a foil bag. There are 8 different designs (1 of the 8 is a mystery style), and every box is a fun surprise! Each box is sold individually can cannot be chosen---each is a surprise! I'm the author/artist and I want to review 50th Anniversary Sesame Blind Boxes.